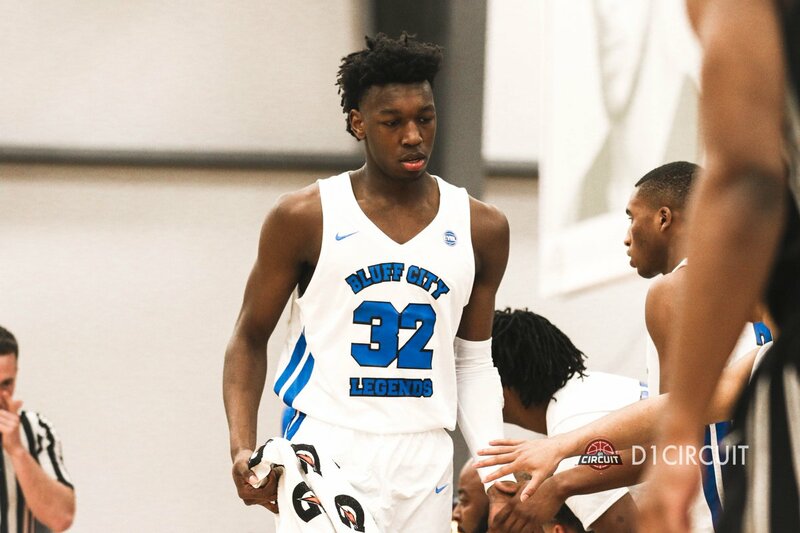 James Wiseman has worked for everything he’s been given and that’s including being ranked the number one ranked player in the class of 2019, according to ESPN. Wiseman’s development from freshman year has been tremendous as he has gone from someone with impressive physical tools to a multidimensional big man. Wiseman is a priority to some of the top programs throughout the country with the likes of Kentucky’s John Calipari and Memphis’ Penny Hardaway recruiting him hard. Through all of this praise, Wiseman makes sure to stay grounded. He sees a lot of improvements in his game from last year and a lot of it has to do with his expanding skill set. Wiseman has taken on more of a leadership role this season on the EYBL circuit with the Bluff City Legends. His coaches have encouraged him to be more vocal and he thinks it’s a good experience for the future. After getting off to just a decent start, the Bluff City Legends finished off the season with a 4-0 record at session 4. The team’s chemistry looked much improved and were unstoppable at times with the amount of talent they have. Wiseman has enjoyed this experience from start to finish. After coming off a successful session 4, Wiseman knows that his team has what it takes to win it all. They have great talent individually, but the five-star big man realizes the importance of playing together in an event as competitive as the Peach Jam. Ending his Nike EYBL career on top would be special for Wiseman. He wants this for himself and the Bluff City Legends organization. “It’s been a special and long journey for me,” he said. “It will be great to win Peach Jam, because that’s the ultimate goal that I’ve always wanted to receive. If we win Peach Jam, it will be great for the Bluff City Legends organization and for me personally."